What an honour it was to be able to host the Schoen Duo and guests for their River Crossing Sound Symposium. Their creation of the sounds of Rossdale was a perfect fit for the Ortona. What a well thought out and presented project. Holding workshops and encouraging other voices brought an inclusiveness to the scene and created a night of both excitement and enlightenment. Kudos to Kathleen and Thomas for matching such an original concept with our building which has seen so much of the history of Edmonton. The concert was surprising on so many levels. I appreciated the emotional content so much. The story was layered and textural. The sequencing of the musical story led me through complex relationships and connections. I loved the drummers and was very happy to have talked to them afterwards and learn more about the music from them. It was magical to be given branches and water and become part of the fabric. Hearing the familiar rhythms of the city and river reminded me of my own experiences in this place. I appreciated the way the music and video and our own participation made me feel immersed in the place and its histories. 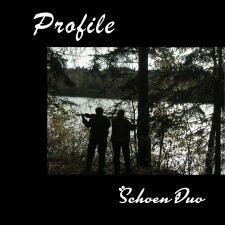 I enjoyed hearing about the process the Schoen Duo used, and I loved the storytelling aspects of the performance. The drummers were fantastic, and I like the gentle audience participation. A great event with wonderful, innovative music.